The 6 June 2019 marks the 75th Anniversary of one of the most famous and daring military operations in history. Operation ‘Neptune’, or the D-Day landings as they were to become known, was an Allied operation to invade the Normandy coast across fi ve beaches, marking the start of a campaign aiming to liberate northwest Europe from Nazi Germany’s occupation. The D-Day assault started just after midnight when airborne troops parachuted into drop zones across northern France, with the target of securing bridges and exit roads. Hours later the amphibious part of the operation would begin on the five beaches along a 50-mile stretch of the coast. After encountering varying degrees of opposition from German defences, ground troops captured beaches codenamed Omaha, Utah, Juno, Sword and Gold. Despite setbacks, by the end of the day, Allied forces had gained a presence in France for the first time since the evacuation of Dunkirk in 1940. The biggest air, sea and land invasion in history was the start of a two-and-a-half-month battle that became known as the Battle of Normandy and would signal a beginning to the end of war in Europe. 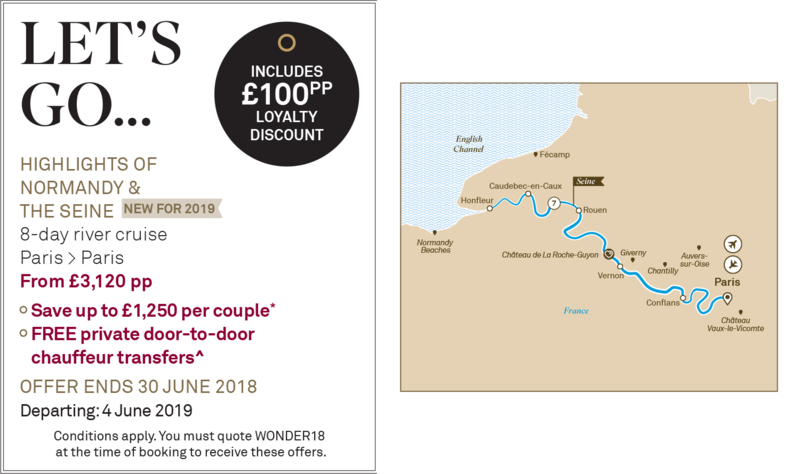 To commemorate the 75th anniversary of the D-Day landings, we have designed an exclusive edition of our new 8-day Highlights of Normandy & the Seine river cruise, due to set sail on the 4 June 2019. Specially adapted to mark such a significant piece of military history, this awe-inspiring itinerary provides a truly once-in-a-lifetime opportunity to follow the path of British troops. 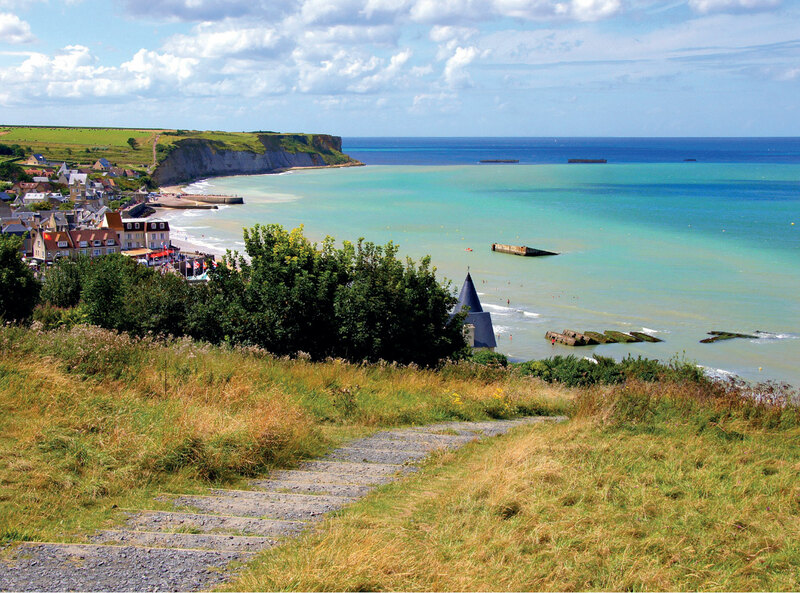 Take part in Scenic Freechoice excursions to the Arromanches Landing Museum, where the temporary Mulberry harbours were erected, as well as Gold and Sword beach. National involvement: British, American, French Canadian, Australian, Belgian, Czech, Dutch, Greek, New Zealand, Norwegian, Rhodesian and Polish. 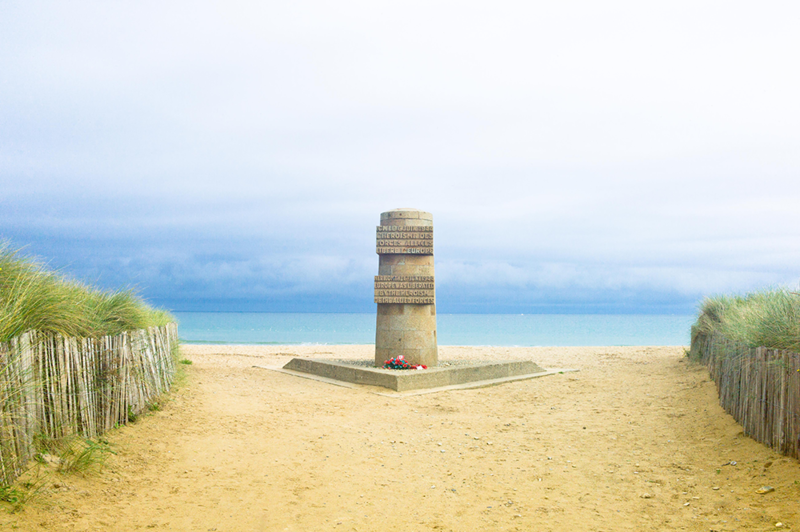 As part of this specially adapted itinerary guests will be able to visit the two beaches which were assigned to the British military for D-Day, codenamed Sword and Gold Beach. At Gold beach you’ll learn about the floating harbour which constructed after the beach was secured by Major General Tom Rennie forces and named Mulberry harbours B which are still visible today. Whilst at Sword beach you’ll learn more about the 28,000 strong allied forces which attacked the beach on 6 June 1945. 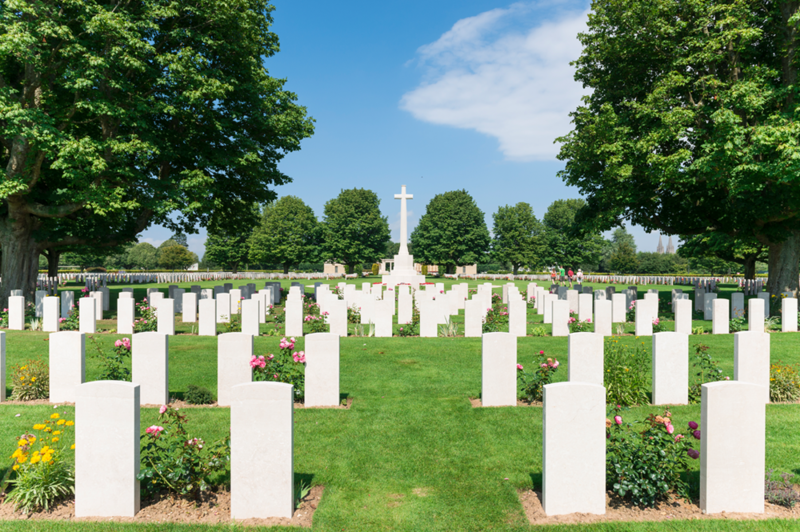 As well as learning more about areas where British soldiers fought, you’ll also have the chance to pay your respects at one of the largest commonwealth cemeteries in the Normandy region, when you visit the Bayeux Commonwealth War Graves Commission Cemetery. The cemetery which was completed in 1952, contains 4,144 Commonwealth burials of the Second World War, 338 of them unidentified. As well as the 4000 graves The Bayeux Memorial stands opposite the cemetery and bears the names of more than 1,800 men of the Commonwealth land forces who died in the early stages of the campaign and have no known grave.